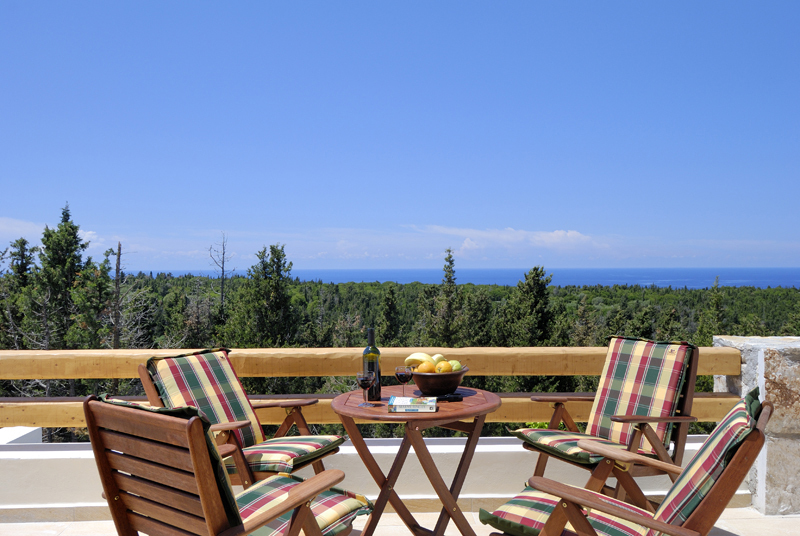 Villa Nikeli enjoys superb views which stretch from the Lixouri Peninsula in the south, across unbroken natural forest, framed by the blue Ionian Sea to the old village and Dafnoudi Bay in the north. 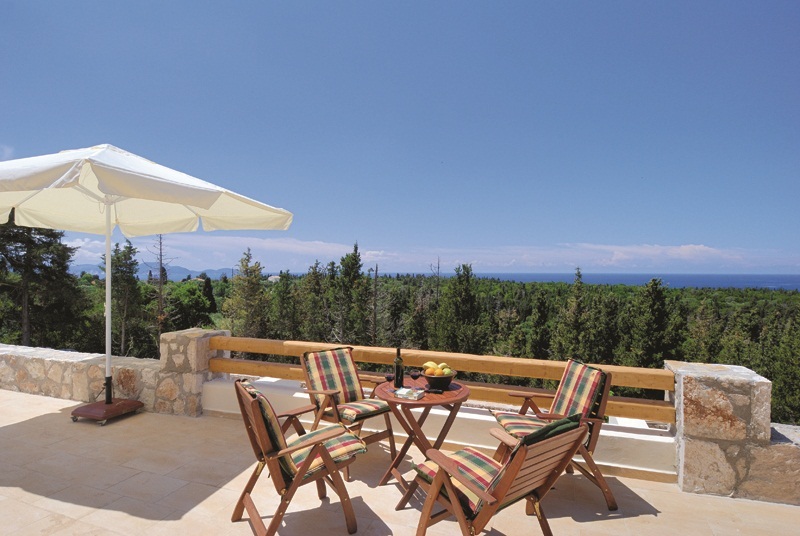 Villa Nikeli has been designed and built to a high specification taking full advantage of the outstanding views and beautiful surroundings. 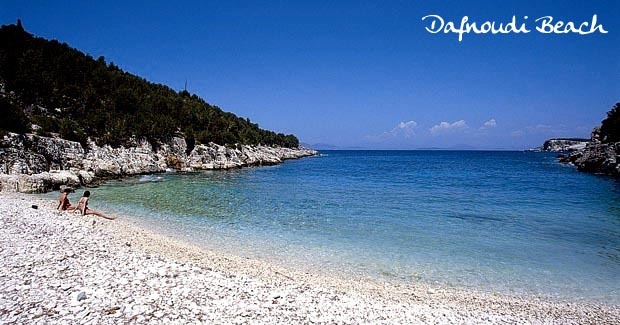 Positioned near Villa Ellie and in front of Anna’s House, Nikeli is only five minutes walk to the village of Antipata with its tavernas and mini market. 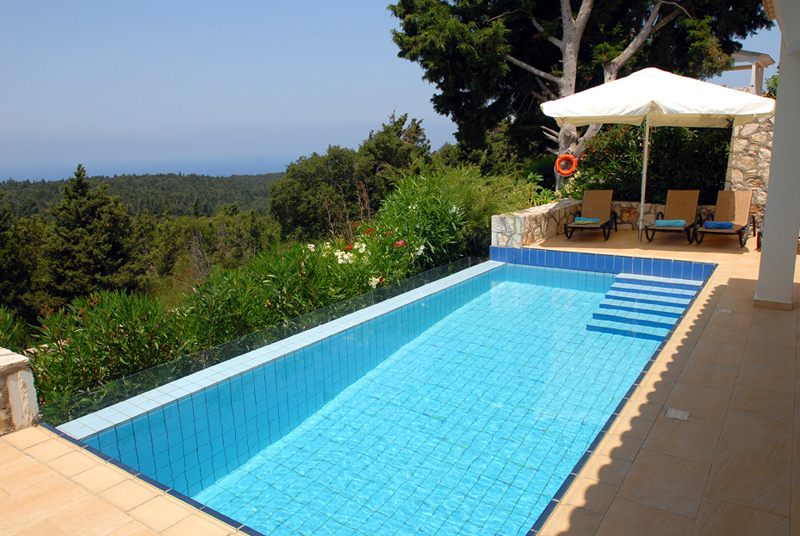 The villa stands in a prominent position commanding some of the finest vistas to be found along the western coastline of northern Kefalonia. 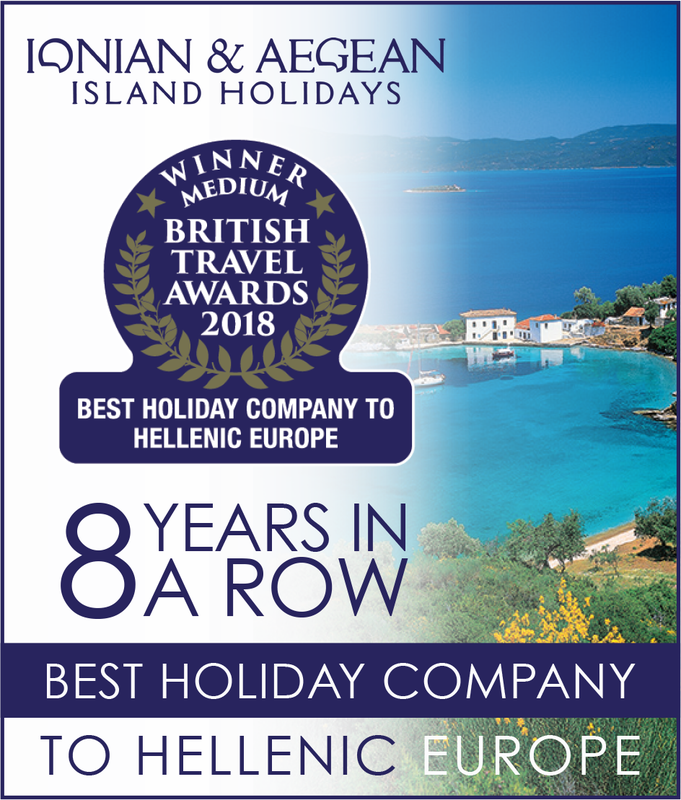 From its perch amongst a profusion of silvery green olive trees and cypress forests the villa benefits from the splendid views of the blue-green Ionian and is the perfect vantage point from which to enjoy the magnificent Kefalonian sunsets. 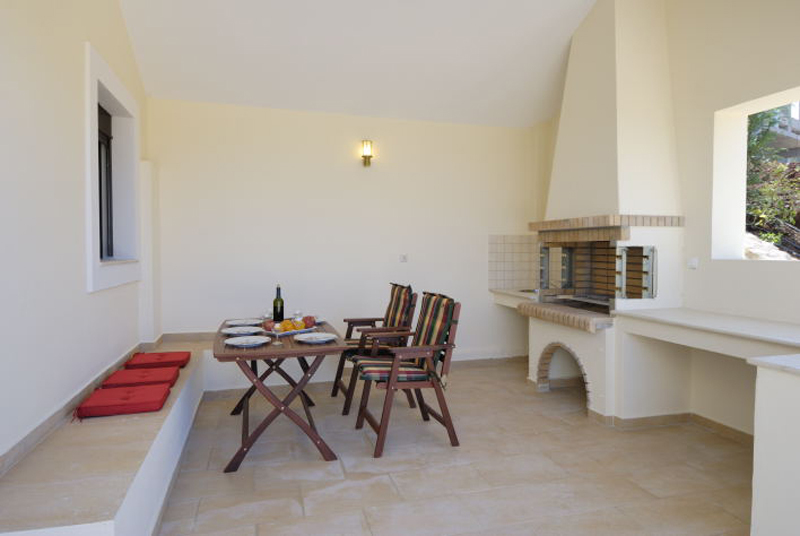 Villa Nikeli is a lovely two bedroom villa with terraces and gardens that fantastically blend in with the lush vibrant landscape. 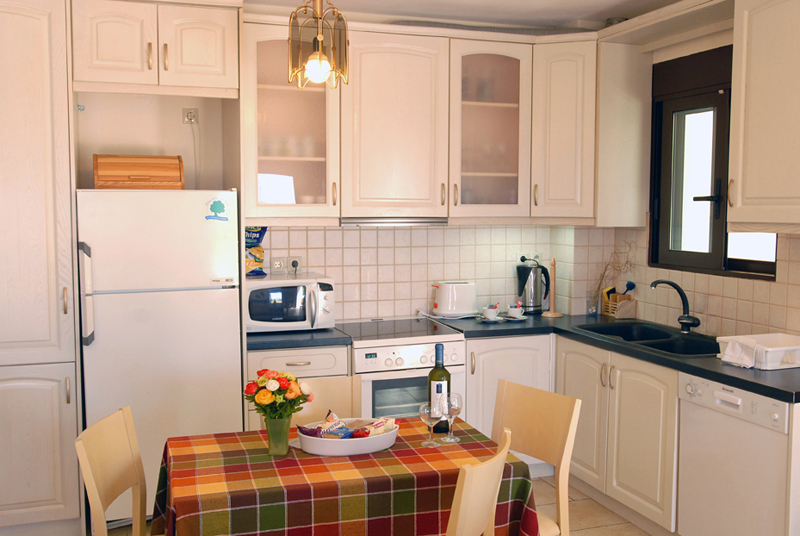 The villa is built on one level and consists of an open plan living room leading to the kitchen, double bedroom and a twin bedroom with use of an additional shower room. 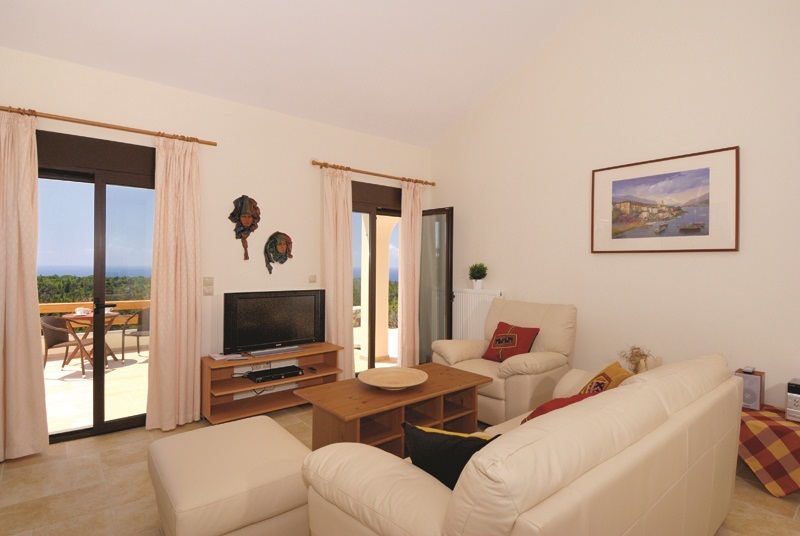 All have patio doors leading out to the pool terrace that takes in the fabulous view and sunset. There is also a fantastic and useful outdoor kitchen with a barbecue and generous seating area to make the most of al fresco living and dining.